Most of the pictures on this web page are thumbnails. Each thumbnail is ¼ size and ¼ quality of the full image, approximately 3K - 10K bytes. Each thumbnail is a hyperlink to a full image that is approximately 30K - 100K bytes. I built my fog chiller from plans at Halloween Online. 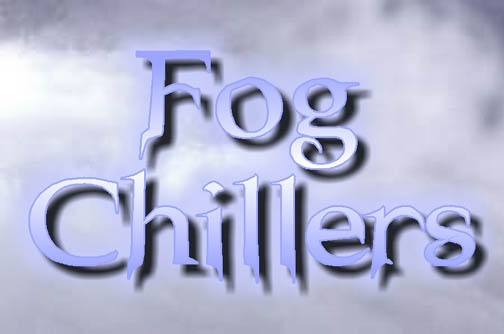 There are two other fog chillers that deserve mention. 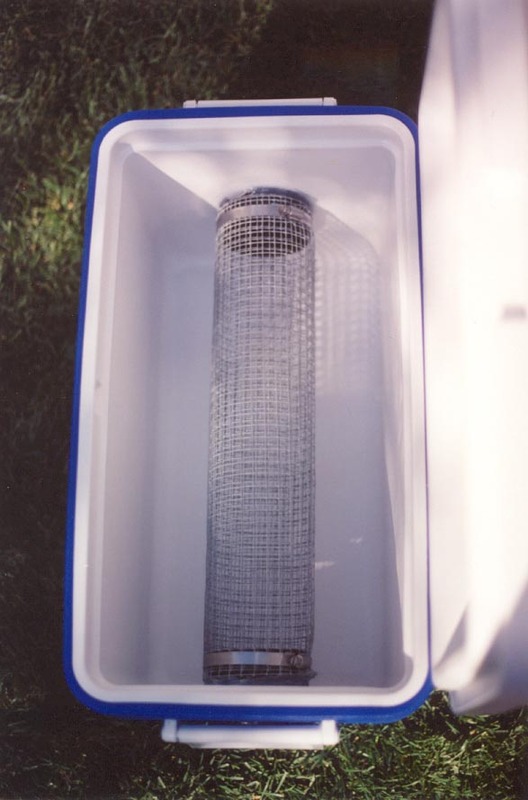 Both use lengths of copper tubing in place of the roll of chicken wire. Steve Hickman's Terror Syndicate fog chiller uses 12 36" lengths of 1/2" copper pipe. The Terror Syndicate fog chiller is featured in Steve's The Home Haunter's Prop Building Handbook #2. 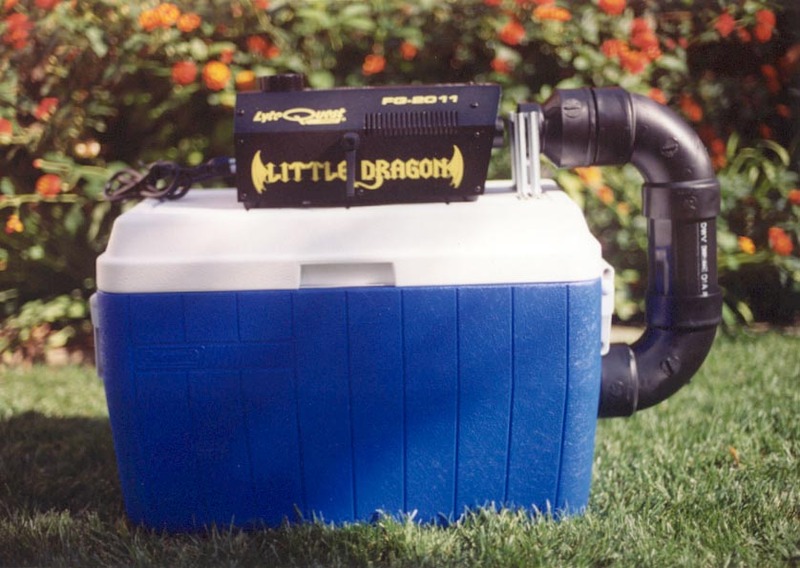 Brent Ross' Devious Concoction fog chiller uses a roll of 1/8" copper tubing. 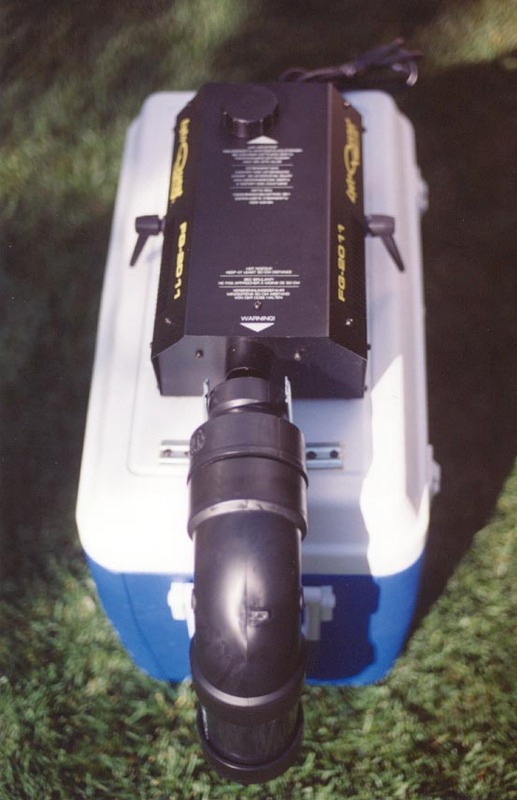 The Devious Concoction fog chiller is featured in Brent's The DC Prop Builder's Handbook (Volume 1).